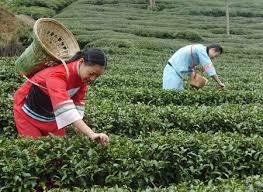 Coonoor: Global tea production has dropped by 88.3 million kg (mkg) during the first five months of the calendar year 2009 as compared to the corresponding period last year, an analysis of the newest information received from various producing countries and Tea Board indicates. The total production is estimated at 481.5 mkg. Adverse weather is expected be the main reason in all countries. Production cut down in all countries except Malawi. In Sri Lanka where the production has dipped to 102.9 mkg, a big loss of 42.4 mkg has occurred. India's production has dropped by 24.5 mkg to dip to 215.8 mkg. Of this, North India lost 12.6 mkg to produce 130.2 mkg. South Indian production dropped by 11.9 mkg to total 85.6 mkg.